Albany NY and the Capital Region are home base for several manufacturing and distribution companies as well as companies servicing those businesses by providing industrial goods and services. Whether you are looking for machine shops or industrial refrigeration services, you will find it in Albany. 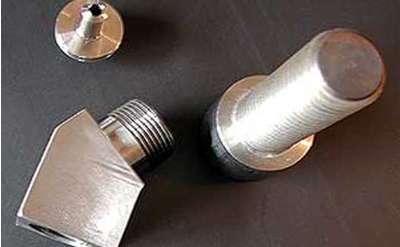 Provides quality metric bolts, custom bolts, threaded fasteners, machined parts and specialty bolts to spec. Specifically for high strength, high pressure & corrosion resistant fasteners and parts for the paper, power generation, OEM, & military. We stock, install and maintain a full range of top quality power distribution and transmission equipment including Conveyor Belting, Pulleys, Idlers, Bearings, Motors, Gear Boxes, Hoists, Cranes, Pumps, Drives and Controls, and much more. Scrapster is the Capital Region's premier affordable LOW COST JUNK and SCRAP METAL/APPLIANCE removal and recycling service. We specialize in clean outs, providing top Quality work-you don't need to do a thing! We are insured, convenient and reliable. Albany Valve & Fitting Company, Inc. Manufacturer of components for the power generator and motor repair market. Supplier of many larger OEMs and a variety of insulating and blocking parts manufactured in Menands, NY. Precision Valve & Automation, Inc. Flood's Welding & Specialties, Inc. Protective Industrial Products (PIP) has been providing customers with quality PPE for over 30 years. A global leader in and protection, today PIP has an expanded line which includes head protection, Safety Eyewear, and protective & hi-vis garments.